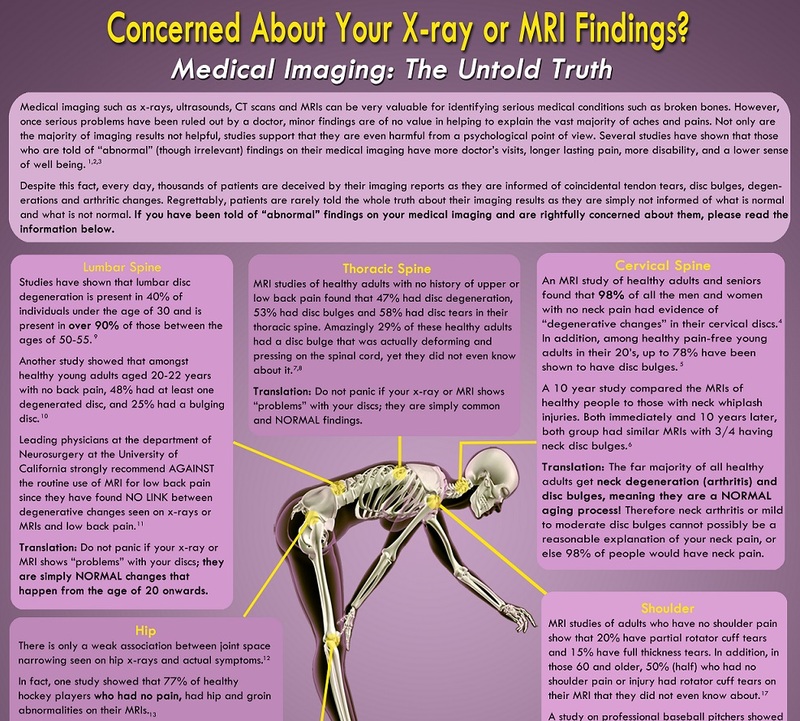 The only purpose of the VOMIT poster (18″ X 24″) is to show patients at a glance the TRUE facts on their x-ray, ultrasound, CT Scan and MRI results in an easy to understand format; to optimistically prevent them from becoming a VOMIT (Victim Of Medical Imaging Technology). 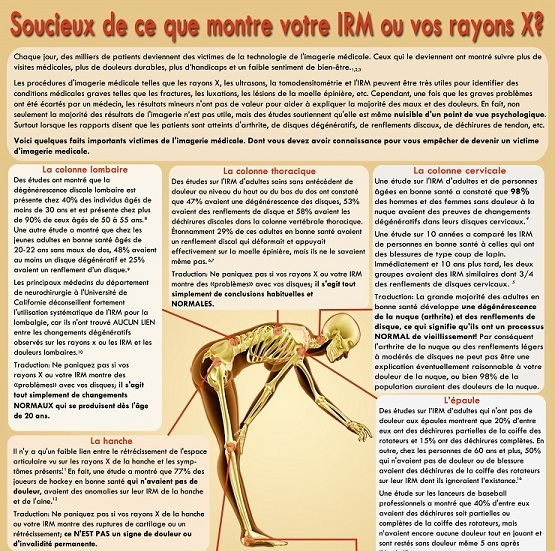 Every day, thousands of Canadians become a VOMIT when imaging reports inform them of the horrifying news … arthritis, degenerative discs, disc bulges, tendon tears, etc..
Those who become a VOMIT have been shown to have more doctors’ visits, longer lasting pain, more disability, and a lower sense of well being. I have made a referenced information poster that I hope all clinicians (especially MDs) will find valuable and hang in their clinics/hospitals. E.g. Did you know that an MRI study of healthy adults and seniors found that up to 98% of all the men and women with no neck pain have evidence of “degenerative changes” in their cervical discs?